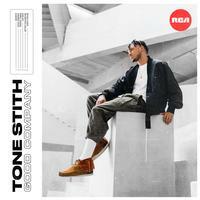 Tone Stith is a contemporary R&B artist whose career was boosted when he co-wrote Chris Brown's 2015 platinum single "Liquor." Soon enough, he joined Brown on the roster of major-label RCA ahead of his ballad-oriented debut album. The New Jersey native became involved with music at a very early age. He was familiar with playing drums before his teenage years, started learning how to use production software, and in church began to hone his singing talent, which came naturally as the son of a vocalist who had performed with Patti LaBelle. While in his teens, Stith was part of the group SJ3, who caught the attention of Jas Prince, the key figure behind Drake's ascent. Stith subsequently went solo with Prince in his corner.